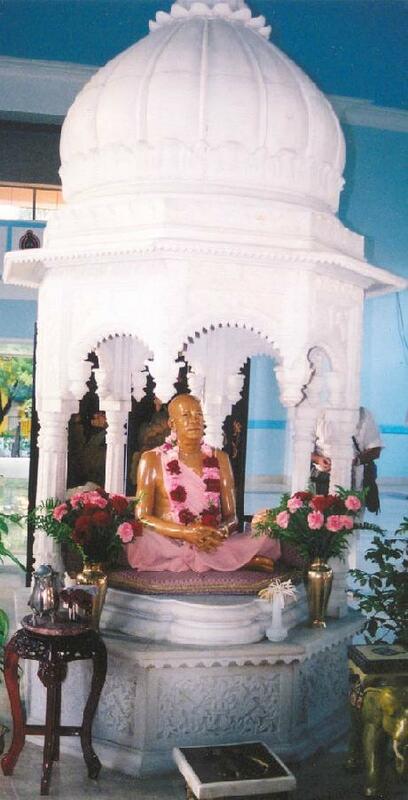 Srila Prabhupada murti, New Naimisaranya Forest, Miami, U.S.A.
"The spark of pure love for Krsna is struck by the spiritual master, the pure devotee. As for myself, my spiritual master, His Divine Grace Om Visnupada Bhaktisiddhanta Sarasvati Gosvami Prabhupada, ordered me to take up the responsibility of spreading Krsna consciousness in the Western world. His Divine Grace had a great desire to preach Lord Caitanya's message in the Western world, and my success is both his grace and blessings."